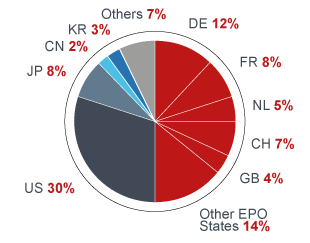 Applications are the files for which applicants have decided to request a European patent from the EPO. 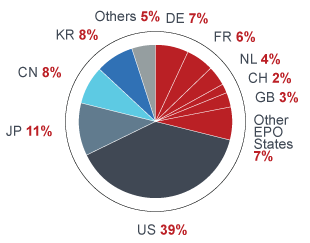 They are a direct measure of the explicit interest of innovating firms to assert their patent rights on the European technology market. The EPO received nearly 160 000 European patent applications in 2016, nearly at the same level as the record number reached the year before. 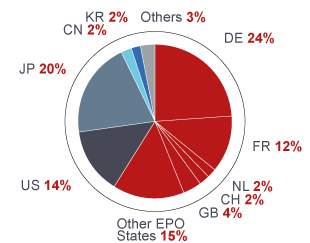 The total applications included close to 95 000 international Patent Cooperation Treaty (PCT) filings which entered the European regional phase (becoming European applications) in 2016, and some 65 000 European patent applications filed directly at the EPO under the European Patent Convention (EPC). 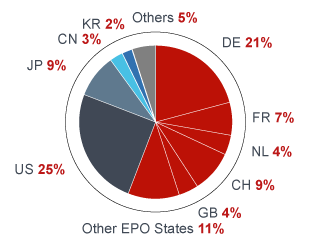 EPO: the 38 member states of the European Patent Organisation, including EU28. 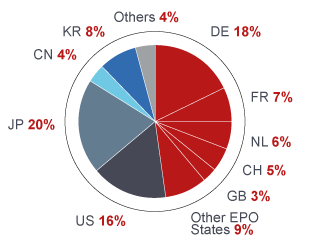 Almost half of all European patent applications came from the EPO member states, followed by the US, Japan, China and South Korea. Applications from Europe were on a par with last year, with marked differences among individual countries. Europe’s growth champions were Belgium and Italy. More modest rises came from Austria, Spain, Switzerland and the UK. 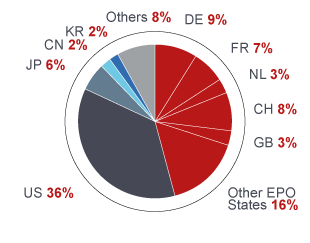 Demand from Europe’s biggest patent applicant, Germany, was stable, while France, the Netherlands and many of the Nordic countries filed fewer applications. 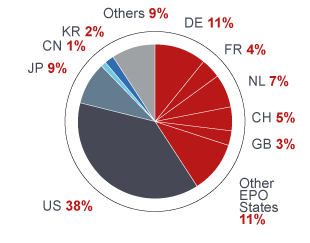 Overall, China (and to a lesser extent South Korea) was the main driver of growth in applications at the EPO. 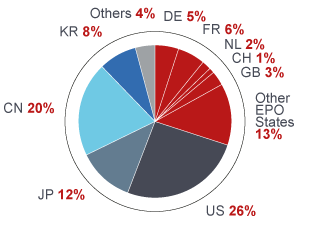 Applications from the US dropped considerably (although this was only a correction after the one-off jump in 2015 resulting from a change in US patent law), while Japanese companies filed slightly fewer applications. 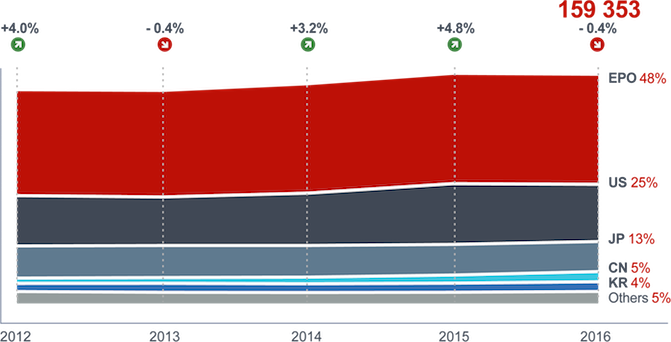 Medical technology was once again the field where the most applications were filed, despite a slight drop in 2016. 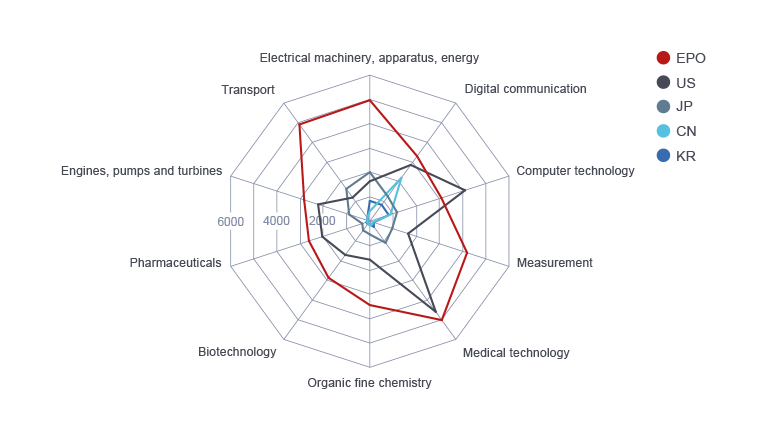 The strongest growth from among the top fields came from Electrical machinery/apparatus/energy, followed by Transport and Computer technology. 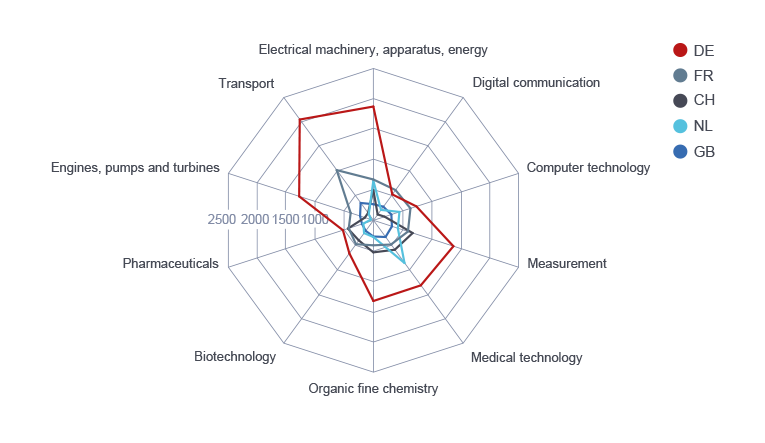 Pharmaceuticals and Organic fine chemistry saw the greatest drop in the number of applications. 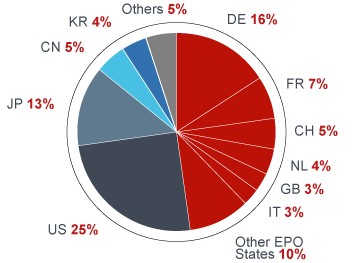 Analysis based on European patent applications filed with the EPO (Direct European applications and International (PCT) applications entering the European phase). European companies filed the most applications in nine of the ten most active fields of technology, with US companies leading only in Computers. The inventiveness of Europe’s leading economies is also reflected in the ratio of European patent applications to population. 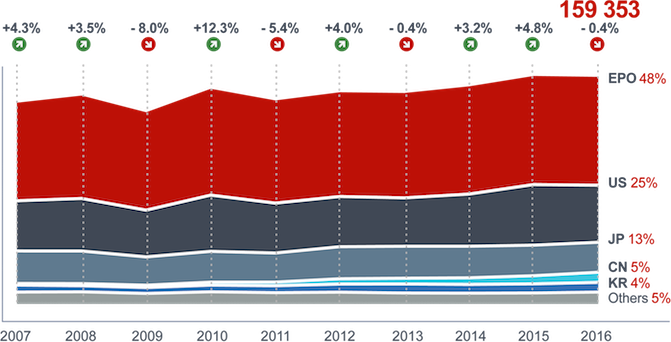 Switzerland (with 892 applications per million inhabitants), the Netherlands (405) and some of the Nordic countries topped the list again in 2016. Japan (166) was the first non-European country in the ranking with a ratio higher than the EU average (122), and also ahead of South Korea (134), the US (124), and China (5).